Based on characters created by Stan Lee, Don Heck, Larry Lieber, Jack Kirby. 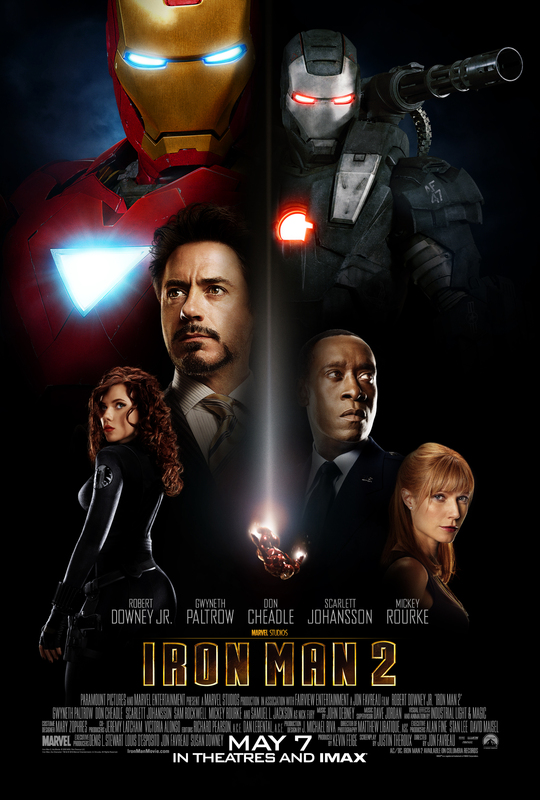 The second movie in the Iron Man series that brings us Mickey Rourke who brings us an excellent villain in Ivan Vanko. Tony Stark (Downey Jr.) must compete with Justin Hammer (Rockwell) on the business front and Ivan Vanko on the superhero level. This is a good movie from beginning to end, but I felt it could have been better.